As our life came to the habitual track, all days should remind each other. But it never happens here. Every day I can’t stop learning something new, knowing new interesting people, finding new lovely places to see. But last two days were really very special and important. On Saturday the 28th the weather was extraordinary beautiful and I had a chance to spend the whole day communicating with tourists. It is always a pleasure to see foreigners when you are abroad – the feeling of discovering country unites us. 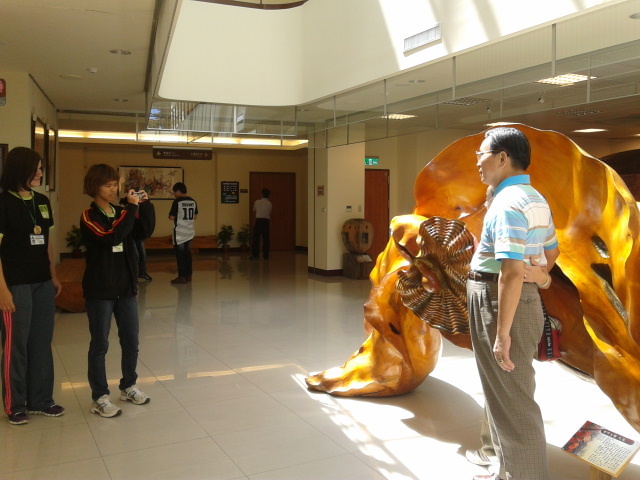 But it is much more pleasant to find Taiwan citizens who speaks English! I enjoy talking to new people, learning more about their life, their views and attitude to everything. On Saturday I met so many new friends. They were very interested about my work in Dasyueshan, about Russia and my staying in Taiwan. We discussed weather in Russia, in Taiwan and especially in Dasyueshan. 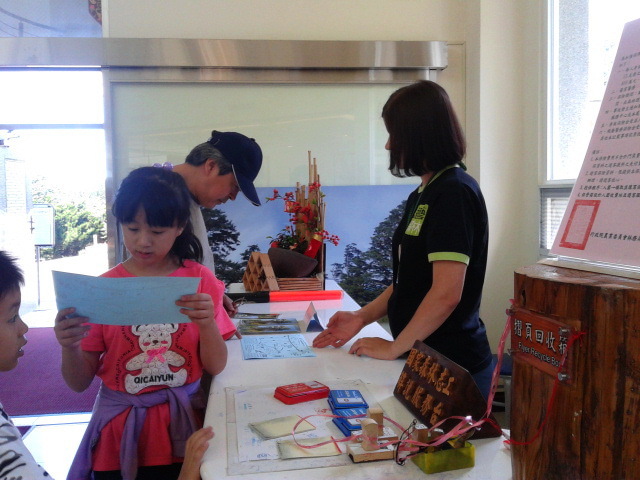 I even had a chance to talk about learning languages – Chinese, English and others. And about teaching them. That day let me find new friends, learn more about daily life in Taiwan and discuss some important issues. Sunday instead I’ve spent in the Visitor Center – the other side of our work, the other way of communicating with tourists. Their needs are very different – some wants to know more about location, others seek for a place to have rest, some wants to make photos and talk, and some of them just lost. Foreigners are not frequent guests in Dasyueshan in summer, but I was lucky to meet two of them here. I was double lucky, because they turned out to be from Romania that borders with Russia. I was very happy to talk to them, tell more about my work and help a little. 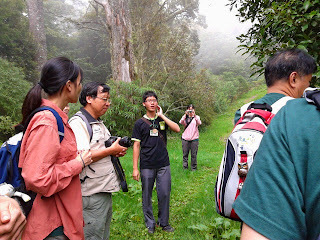 But what make that day Very Important is visit of the Forest Bureau delegation and the director of the Dongshih District office himself. 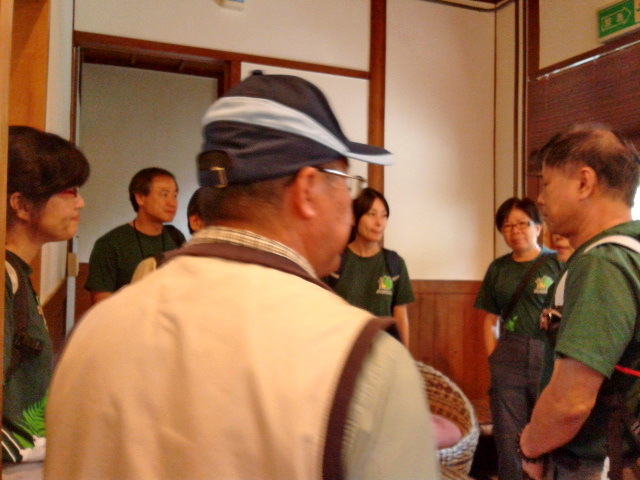 We wanted to make their stay in Dasyueshan as much hospitable and pleasant as we could. Everyone was very excited about their visit. 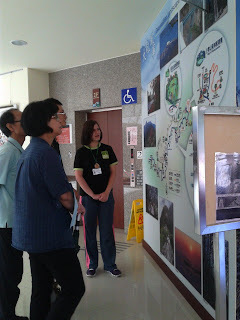 We tried to do our best – showing them around forest trails and exhibitions of the Visitor Center. Also we had a chance to talk out our suggestions of improving the Dasyueshan Area. As they said, they really enjoyed their stay in Dasyueshan and were very pleased about our welcome! All our suggestions were taken into account and there will be some good changes for sure. There were two very important and very long days and we needed to create something really great. And we found such thing – we decided to go to Houli and ride a bicycle – so traditional time spending in Taiwan.